::Download Scientific Description:: ::Project Researchers and Highly Qualified Personnel:: ::Project Scientific Progress:: Organic solar cells utilize plastic materials, also called polymers, as the light absorbing medium. A problem somewhat unique to this technology is that there are virtually an unlimited number of polymers that could be used because even small changes in the molecular structure of a polymer may notably change how it functions in an organic solar cell. 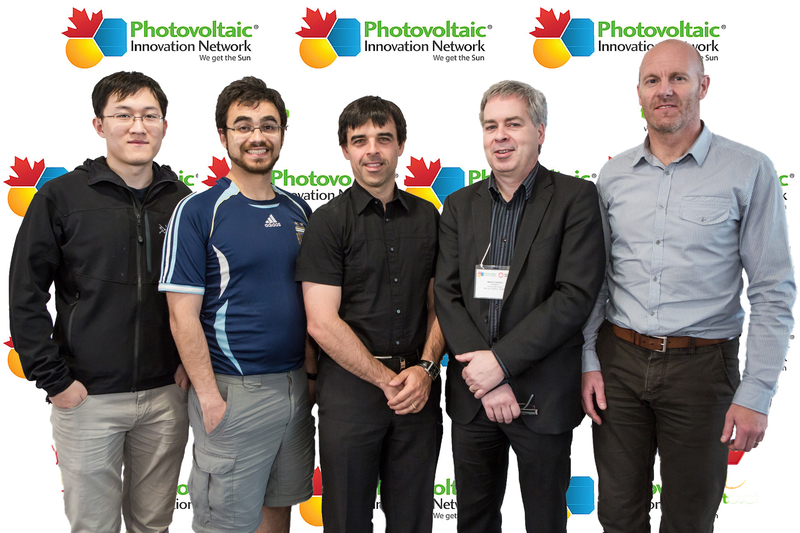 The objective of this project is to make new polymers that will be used in organic solar cell devices. 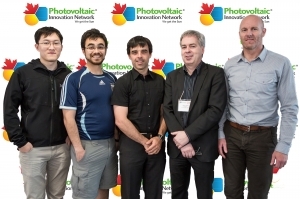 To reach our goal, we can identify the desirable properties of these new polymers: low band gap to harvest more of the solar spectrum, high charge mobility, high ionization potential to improve stability, high electronic affinity to allow electron conduction and good solubility properties suitable for photovoltaic devices. To help search for the desirable polymers, we are assisted with calculations from first principles that can predict some of the properties of polymers even before there are synthesized. This project also includes the development of theoretical methods to better assess the polymers studied. We will also consider tandem organic solar cell to further improve the power conversion efficiency toward a goal of 15% for such devices. Figure: A rotary evaporator is used for evaporating organic solvents; typically organic synthetic researchers use them to evaporate out the solvents that their compounds were dissolved in so that their products are concentrated or even solvent free in this way. 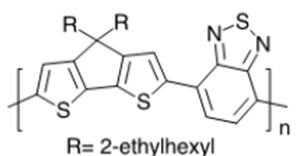 Rotary evaporators are basic, essential, and indispensable in organic synthesis. 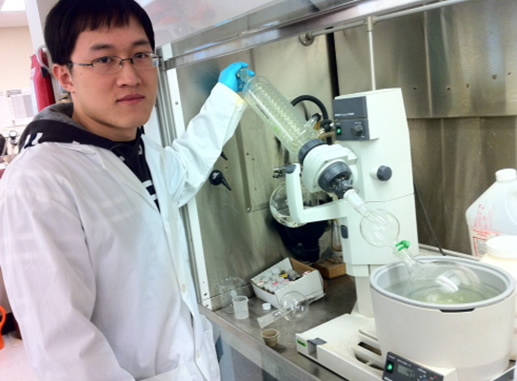 This picture shows graduate student Ben Zhang from Simon Fraser University operating a rotary evaporator. Figure: A number of new organic polymers are under consideration for photovoltaic applications as researchers attempt to develop improved materials.